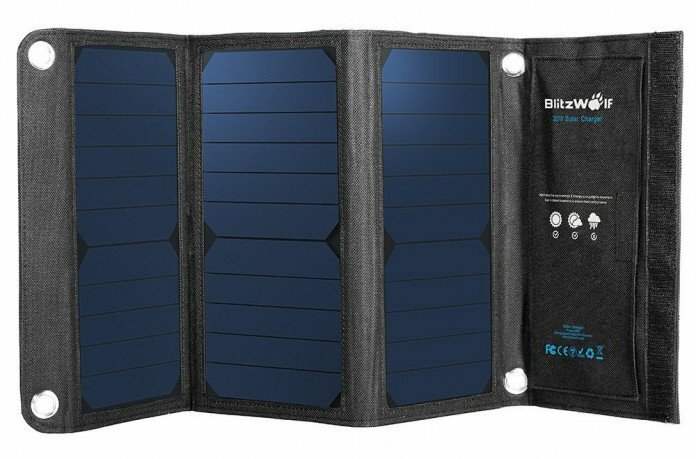 The BlitzWolf BW-L1 is a foldable, portable solar charger which is able to charge all phone models and portable lithium ion battery packs with 21.5% – 23.5% efficiency (as compared with the ~15% most portable solar panels offer). It’s a quality mobile phone solar charger with SunPower panels at a very reasonable price. Let’s take a look at some more specs and information about the charger! 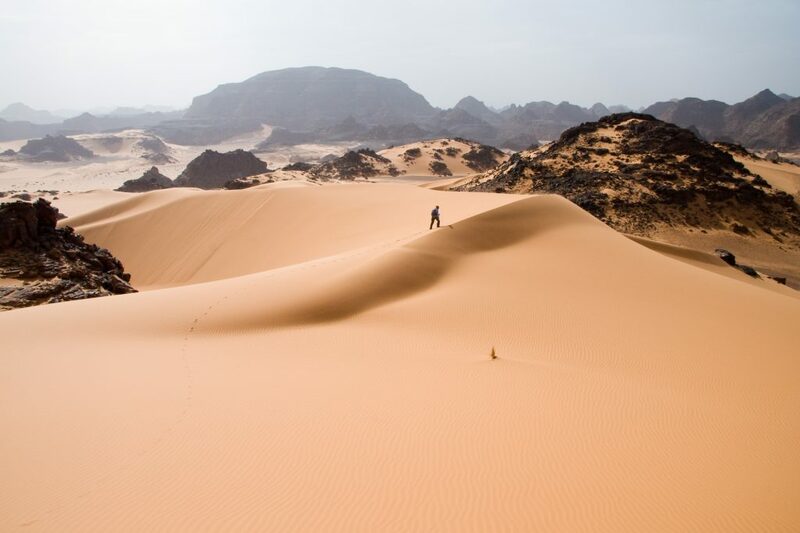 The charger comes with three solar panels which hold 20W of power at a total maximum output of 5 volts / 3 amps (via two USB 2.0 connectors – so you don’t have to fight with your friend over who gets the charge). Give its foldability, low weight, and the eye holes installed in the corner, it’s perfect for attaching to your backpack as you’re out camping or hiking – usually the problem with something like this is the charger doesn’t automatically restart charging when the sun fades – requiring you to pull the cords out to reboot it. Very frustrating if you’re hiking through trees or on a cloudy day! The BlitzWolf 20W portable, foldable outdoor solar charger with fast charge Power3s Technology (click here to learn about BlitzWolf’s Power3S – not quite QC but it does the trick) is available quite cheaply online. It won’t run a fridge or power a campsite but it’ll certainly help a phone/tablet/laptop (depending on whether it has USB charging or not) get a charge back. The product is rugged, well made, and performs impressively given its price point (not to mention the 18 month warranty!). It’s $63.34 AUD + free shipping at Banggood. It’s $~54.10 AUD shipped at Amazon US (as per Ozbargain). It’s $89 on eBay (local shipping). If you’re interested in other solar camping products please follow the link to read some more reviews from Saving With Solar. If you’re interested in an unboxing / video review of the Blitzwolf solar charger please click the video below which explains it in further detail! UPDATE: We’ve added a second and third video in case you want to learn more about the product before pulling the trigger.